Replaces 24x30x1 sized disposable filters. The actual size of this filter is 23-3/4 x 29-3/4 x 7/8. They are interchangeable with 1" disposable filters. 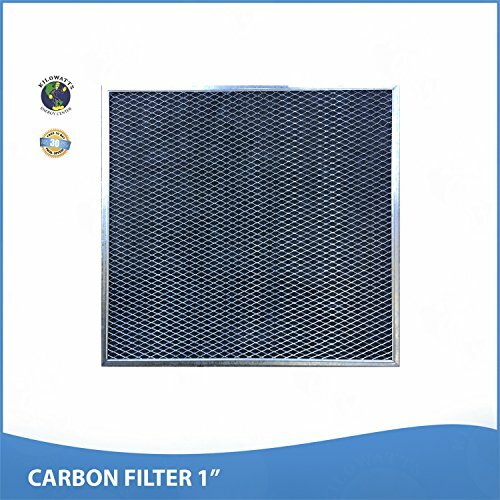 Ac Filter Usa is now offering Pure Carbon a/c Furnace Air Filters for eliminating odors in your home or office. We manufactured in sizes from 8 x 12 to 36 x 24 inch and thicknesses 1/2, 1 and 2 inch. Interchangeable with 1" disposable filters. They have a useful life until 12 months, depending on the Activity or the place of use. The carbon atoms. Because of its LOW AIR RESISTANCE don't make your Central Air. Unit work harder. Friendly to environment. With a warranty satisfaction and 100% money back guarantee. If you have any questions about this product by Kilowatts Energy Center, contact us by completing and submitting the form below. If you are looking for a specif part number, please include it with your message.